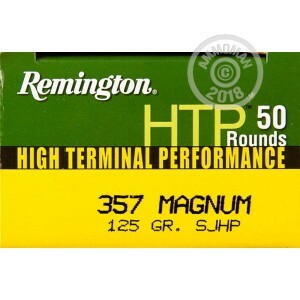 Remington HTP ammunition is a well-made, cost-effective choice for hunting, home defense, or concealed carry. 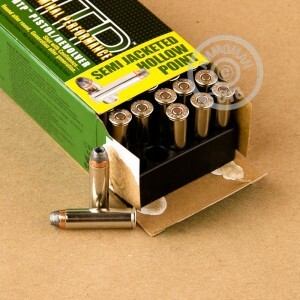 These .357 Magnum cartridges fire a 125 grain semi jacketed hollow point bullet at a muzzle velocity of 1,450 feet per second. 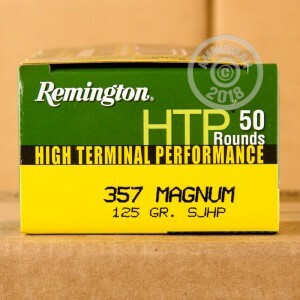 HTP ammo is packed in economical boxes of 50 and uses non-corrosive Boxer primers and nickel-plated brass cases. 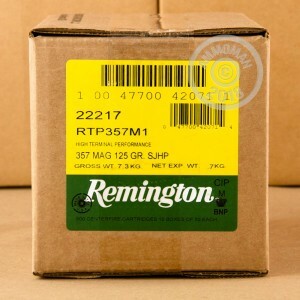 Looking to get some extra ammo and save in the process? Place an order for $99 or more at AmmoMan.com to get free shipping!